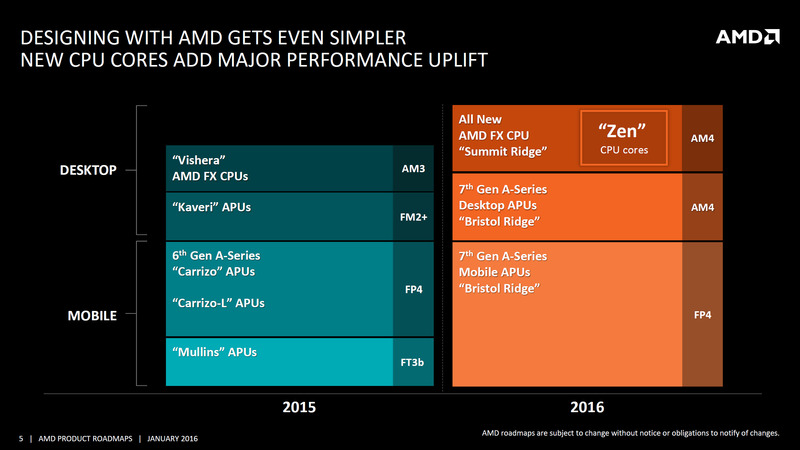 AMD has planned to launch two new processor families in 2016 which will be aimed at desktop and mobility platforms. The first of these families is known as Bristol Ridge which will feature a range of chips for the AM4 and FP4 sockets. The Bristol Ridge family is expected to hit the market in first half of 2016 and the latest leak shows us what to expect from the Excavator powered family of processors. As you can note, the Bristol Ridge SOCs get a nice clock speed improvement while retaining the same TDP and the same process node. This is a significant gain in terms of efficiency and is part of the power management in the latest generation of processors which we will also get to see on the high-performance Zen core. 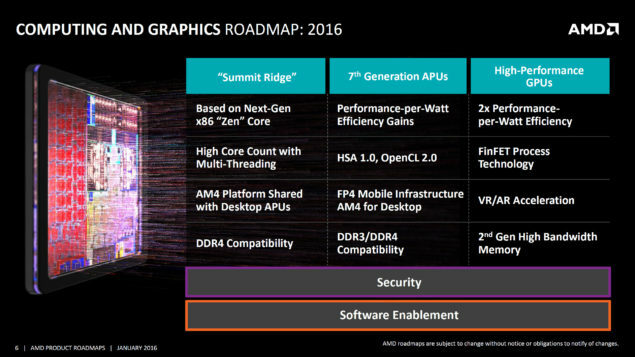 Expect to learn more about AMD’s Bristol Ridge family in the upcoming days. We already know that AMD has three major announcements planned in 2016 which start off with their Bristol Ridge family for mainstream and performance oriented PCs (Desktop/Mobile) and followed with their high-performance Polaris GPUs and Zen powered FX series later this year. Product Segment Performance Desktop Processors "FX" Mainstream Desktop and Mobility APU Performance Desktop Processors "FX" Mainstream Processors "Kaveri/Godavari"